Danelle Murray, P.E., does not fit the typical stereotype of someone in the engineering field. She does not wear a pocket protector. She is not an introvert, and she does not speak in mathematical equations. In fact, she is a bubbly and stylish woman who is passionate about problem solving, enjoys talking about her work and has recently renewed her interest in horseback riding. “Yes, girls, you can be an engineer and still have a pony!” She laughed. The senior technical analyst for the Roswell Environmental Public Works Department was also selected as the Professional Manager of the Year in Water Resources for the American Public Works Association in September of last year. Murray said she was honored and flattered to receive recognition from the organization, which is geared specifically for those who work in the municipal sector and that being nominated by a former boss was especially nice. “I feel valued as an employee,” she said. 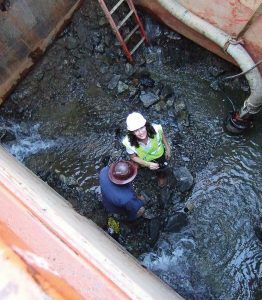 A graduate of the Colorado School of Mines, Murray spent the first 15 years of her career doing water resource work and general civil work before moving to Georgia in 2003 in order to take a position with Wolverton & Associates where she continued to innovate the field of water quality and stormwater management through a variety of projects. Although Murray loved her work in the private sector, she longed to be in the public sphere where she could help set the bar on policy and make a difference for those who lived and worked within a community. She has been with the city of Roswell for 10 years and said it is a great place to work. Murray said being part of a city is a lot like being part of one big project with a lot of arms. She said municipal departments such as hers have one goal in mind: to represent the people who do not have a seat at the table yet. “We make decisions that we will have to live with for 20-30 years down the road, so it is incumbent upon us to be thoughtful and protective of future generations,” she said. 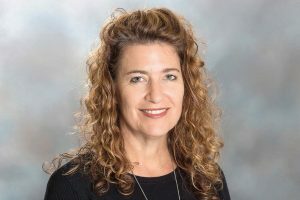 According to the APWA, Murray was recognized in part for leading innovations in water system modeling, stormwater modeling and the promotion of sustainable infrastructure — something she is especially passionate about. She said whenever she works on a project, it is her goal to channel water in such a way that it mimics the natural water cycle as if the property were not being developed at all. Her efforts have allowed the city of Roswell to identify and implement alternative measures for managing stormwater such as rain gardens, swales and pervious pavement — instead of detention ponds. One of the most recent projects Murray worked on was the replacement of Roswell’s old water plant with a new one — a project that began in April of 2014 and was managed though the city’s own staff as well as Layne Heavy Civil Inc. Murray said this project was especially tricky because the city had a small budget, which required her to get creative if she planned to get the job done. 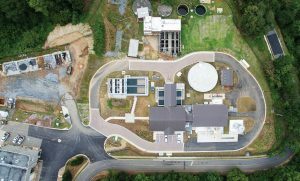 In the end, the plant was paid for using a 20-year loan through the Georgia Environmental Finance Authority at a 1.4 percent interest rate. Murray got to be part of the process from start to finish and took an ownership role in the construction of the plant — something that does not always happen. The new plant began producing and distributing water to the utility’s 5,500 customers in March of 2016. “It ended up being a really great project and showed that you could have a nice outcome from limited sources,” she said. Although the number of female engineers has grown in recent years, Murray said there is still a need for additional women in the field and she hopes more girls begin to look at engineering as a possible career path. She said that, at its core, engineering is about problem solving, something women are especially well suited for. Engineers strive to find practical and pragmatic solutions to various problems while prioritizing projects and meeting budgetary constraints. She said engineering allows her to wear many hats, be autonomous and creative and — thanks to today’s technology — have the flexibility to work anywhere and everywhere. Murray said while it is important to have some mathematical aptitude and a head for science, it is important for a woman to be patient with herself and understand that she is naturally hardwired to be an engineer. “We know what it is like to operate within a budget, prioritize the things you need to have in order to get the job done and to be creative when things don’t go according to plan. It’s the kind of field that allows all of your abilities to shine through. I am proud to be part of it and I am proud to be recognized for my work,” she said.